This is one of those times where my logical brain pisses me off. 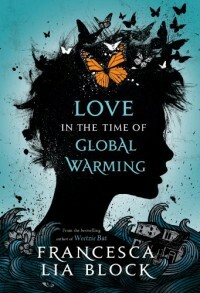 For some reason, the blurb of this book made me think that perhaps the fantastical goings on in Love in the Time of Global Warming were not real – that they were a story Pen was telling. And I was wrong. But I couldn’t accept this fact until halfway through reading, and by then my enjoyment of the story had been greatly reduced because I had spent so much time going WTF? Is this real OR NOT? So if you think it’s not: it is. IT FREAKING IS, OKAY?